Heating and cooling here is expensive because the apartment doesn’t hold the temperature steady. I live the area but the management company needs to improve in reducing it's maintenance order backlog. It's unacceptable to wait for months for emergency situations to be taken care of. My roommate and I have had a great experience (2 years) at Autumn Woods, however there are plenty of students in my class that had major problems with the management company regarding apartment issues and their willingness to promptly fix issues/reimburse for inconvenience/having to relocate to a new apartment with movers. 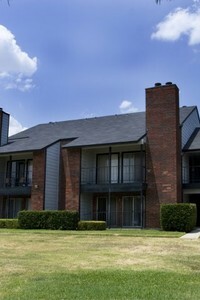 Our apartment is of decent build quality, has a great location, spacious, in a safe neighborhood. Be wary of price increases between the two years and fight back when they try to raise rent by $200 at the end of year 1 (you can avoid that entirely). It's a great apartment - I would definitely live here again. Apartment would be nice if they maintained public amenities and followed up on maintenance issues. Gym is not maintained. They throw away equipment and do not replace it. Maintenance crew can be found relaxing on golf carts and chatting on their cell phones during the day meanwhile - my roof is leaking, my window is in disrepair. Poor response from management. My apartment wasn't clean when I moved in. Garbage from previous tenant still there when I moved in and pubic hairs in the bathroom. Community garbage bins left to pile and leak out onto the sidewalk. Children's playground is filthy. I couldn't move because I was moving from another country and school had already started. My apartment is small and efficient for my needs. It is not the most luxurious accommodation, but you get what you pay for! I commute about 30 minutes each day into Boulder and my boyfriend commutes about 30 minutes into Denver. The location can't be beat. I've lived at Autumn Woods for nearly two years with my partner. The layout isn't my ideal, but the separation between he two bedrooms is nice and having guests has been easy. Parking is usually very good, the area is usually very quiet. There are two food lion stores within a 1 mile radius. The apartments were "updated" last year, by which I mean they had someone come in and do a lazy paint job. The apartments are pretty big compared to some other 1 bedrooms I have seen around town and are usually cheaper. 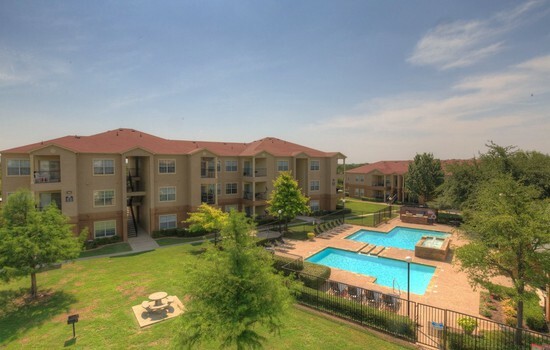 The complex doesn't have as many amenities (they close the pool really early where other complexes leave it open year round, no dog park) and management can be a pain sometimes but all in all its a good place to live. 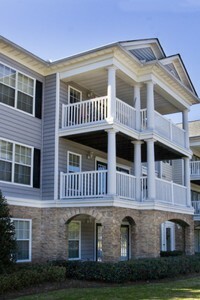 Lincoln @ Towne Square, is an amazing place to stay in. It has 3 big swimming pools and a spacious Gym with world class equipment to practice. It has a huge park with play areas for smaller kids with a large play ground too. The whole area is quite calm and spacious, ideal for all age groups, from kids to elderly residents. The residents can joyfully take a stroll on the pathway, going around the apartment complex or go to the gym and work out, to maintain their fitness. It also has amenities, like volley ball court and the Management organizes fun activities like Movie screening, Parties.etc. on special occasions. Overall, this is a great place to live in. Hardwood floors, upgraded kitchen. The maintenance staff is quick to address any issues that arise, and the front desk staff is friendly and helpful. The bathroom and heating/cooling system could use an upgrade, but overall a really great space all around. On move-in day, Autumn Woods gave me and my roommate a filthy, below-ground apartment that had a horrible insect infestation, dozens of millipedes crawling in nightly. They failed to effectively fix the bug problem for months and finally relented to our demands for a different unit. They provided no compensation and didn't pay for moving expenses. When they asked us to renew for next year, they offered a 30% rent increase. Incredible! Many classmates had similar frustrating experiences. The management company is focused on getting by with a skeleton staff and racking up fees ($30/mo for storm drains!). You might get through the year with no problems, but good luck to you if anything goes awry. 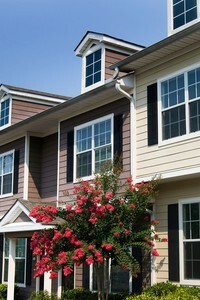 The apartment complex is located in a very nice wooded area close to Carrboro. My apartment faces the woods where a small creek runs through, and makes for a very relaxing ambiance. The swimming pool is very nice and they just renovated the entire pool are and put new grills, TVs and an indoor pool table. The down side is that they close the pool too soon in the year before winter starts. The down side is that the apartment complex is a bit far from town, unless you have a car. There is a bus stop right outside the complex, but it might not be the best place to live without a car. Also, the apartment is not very well insulated, and our electric bill during the winter spiked because the heating was constantly going to keep the apartment warm. It seems like the employees prioritized making it look like "luxury" to get a higher monthly rent. However they are terrible property managers. I've had mold, cockroaches, leaks inside and more. It's been months we have been complaining but they still haven't resolved out issues. They always say they're shocked it hasn't been dealt with yet. However the same thing always happens, someone new will come, look at the problem say they will fix it by the end of the next day then disappears with no follow up. Very nice place surrounded by good shopping malls and gas station and groceries store and good nice people . I would recommend any one who has small kids to stay here as this is a very safe neighbourhood and the schools are really good in this area . center of plano and still reasonable place . Come experience true luxury in the Dallas Metro area at Lincoln at Towne Square in Plano, TX. Located just outside of downtown Dallas and Frisco, we are only minutes from popular attractions such as the Stonebriar Mall and Arbor Hills Nature Preserve. Many of our one, two or three bedroom apartment homes and townhomes include spacious master suites, built-in bookcases, and attached garages.